Evelyn is an experienced coach and trainer with over twenty years of product development experience in product management, project management, system design, software design, system integration and customer support. 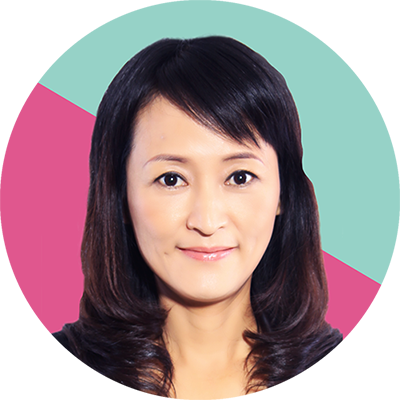 She has worked with a variety of products and sectors, from telecom, e-commerce, finance, automobile and consumer services. Past work experience includes over 20 years in Ericsson, where she worked as Head of Ericsson Global Transformation Support Center (2015-2017), Head Lean and Agile Coach of Ericsson Asia Pacific Region (2013-2015), Head of Lean and Agile Program of Ericsson R&D Center in Region North East Asia (2012-2016), and earlier as Head Coach of Shanghai Site and Head Coach of DU Core and IMS. Evelyn’s focus is on organization transformational strategy, continuous improvement and enhancing the art and science of crafting software. Through coaching teams and organizations. Evelyn has built a lengthy track record and gathered deep insights in coaching organization transformation, agile leadership, and teams to reach their potential. She has designed and delivered agile leadership workshops to hundreds of leaders globally. Evelyn is one of the few in the world who holds all three qualifications: Certified Enterprise Coach (CEC), Certified Agile Leadership (CAL) Educator and Certified Scrum Trainer (CST). She also teaches at universities on software engineering, publishes and translates books and papers about change management and agile transformation. In addition to years of telecom products experience, she also has trained participants from/coached Royal Bank of Canada, HSBC Canada, Canadian Imperial Bank of Canada, Sunlife Insurance, SAP, SKF, McDonald, Audi, Audi Innovation, BMW, Ericsson, Jing Dong Groups, China Mobile, Da Tang Telecom, Honeywell, HP, and others. Evelyn is a Certified Scrum Trainer approved by the Scrum Alliance. This training introduces and familiarizes leaders with Agile methods and how Agile can be used to transform organizations to be more customer-focused and productive. This course is an introduction to Scrum and the principles and tools required to be an effective Scrum Product Owner. The goal of the training is to learn the essentials of succeeding with Scrum in theory and practice. The CSM course is designed to cover all the basics of Scrum so you can begin to fulfill the Scrum Master role. Target Group: Anyone who have the need a deeper understanding of Scrum and Agile, and for you who will start in the role of the Scrum Master. Speaker at 2013 Agile Indiao Building the Agile Mindset: Where to Start?